This year marks the 20th anniversary of the iMac, the all-in-one that saved Apple and radically changed the consumer technology landscape. Any nerd in their 20s or 30s probably remembers seeing one those colorful, curvy iMacs in school growing up. Their friendly design and relatively low cost – for a 90s Mac, at least – made them a staple in education for years. 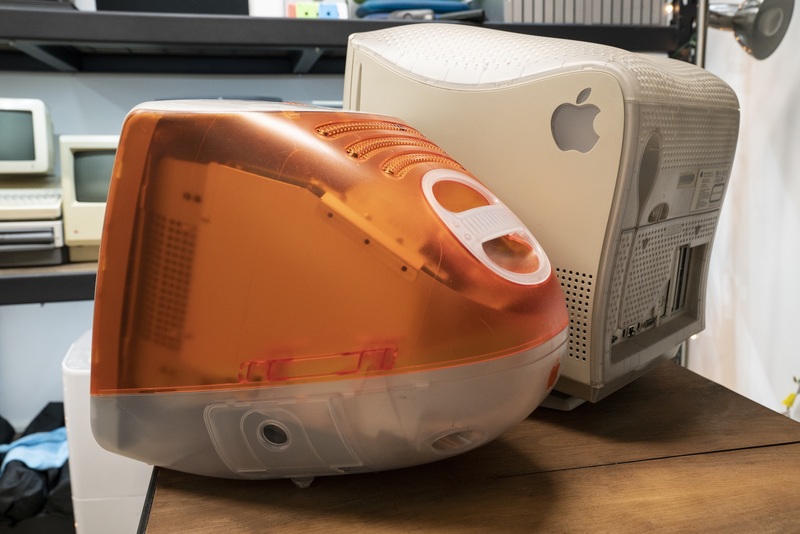 I certainly saw and used my fair share of them in middle and high school, but I also got to experience the iMac G3's weird older sibling, the Power Macintosh G3 All-in-One. Yeah, the one that looks kind of like a big tooth. 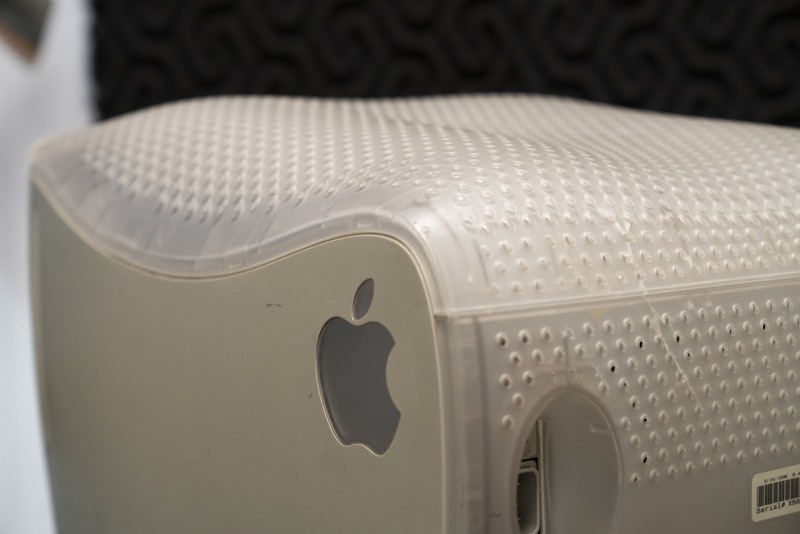 The Power Macintosh G3 All-in-One quickly earned the nickname "Molar Mac" thanks to that design. It's a mostly beige machine with translucent, hole-punched plastic across the top that drapes down the back. Some people said the design was almost ... sensual. I'll leave that up to you to decide. The Molar Mac was an education-only machine, and unlike the eMac years later, never crossed over to the consumer market. That focus on a single market meant the hardware was designed with specific needs in mind. As such, it was a true case of function over form. The display is a 15-inch CRT, but the front of the machine is home to much more than just the screen. Every model came with a CD drive and a floppy drive, with the high-end model coming with a ZIP drive. The entry-level model cost $1599 and came with a 233 MHz G3 processor and a 4 GB hard drive. Full specs are still available on Apple's website. The nicer 266 MHz model cost several hundred dollars more, and came with that coveted ZIP drive. The front panel is also home to two headphone jacks. That carried over to the iMac G3, but on the All-in-One, they are on either side of the machine. This let two students sit in front of the computer, listening to media comfortably, with plenty of slack for their wired headphones. Around back, the function-over-form mantra comes into its own. 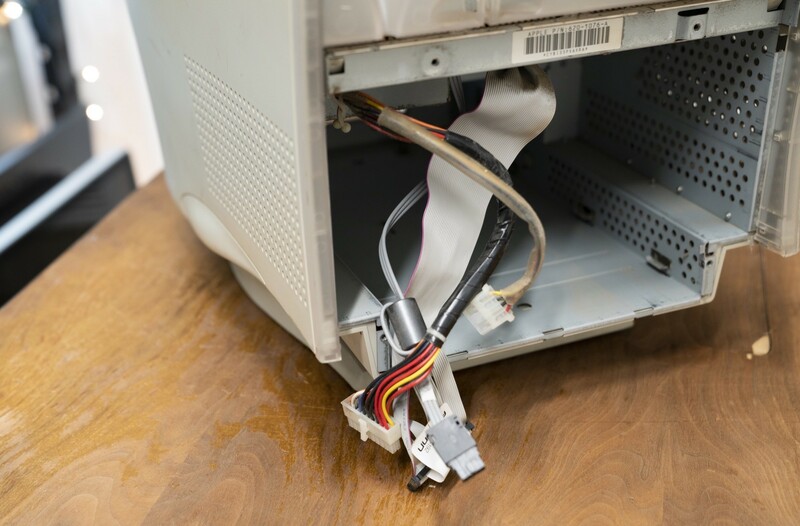 The majority of the computer is installed into a tray that can be easily removed from the machine with the removal of four screws. This tray houses the logic board, RAM, hard drive, ZIP drive, floppy drive, and the PCI cards, including the default 10Base-T ethernet card. Those PCI slots meants that things like USB could be added to the machine down the road, making these computers more useful once the iMac took over. This tray granted access that just about anything on the computer that could be serviced quickly, and without the need to discharge the CRT. This meant that in-school technicians could repair or upgrade most components in the machine themselves. That was a big win in the eyes of education customers, and is something that isn't true of any current Mac. One of my favorite design touches on this machine is that all of the ports and plugs are recessed. This means that the computer could be pushed back against a wall or desk with all of its accessories plugged in, without damaging the cables. All of these features did come at a cost. The Power Macintosh G3 All-in-One is the heaviest Mac Apple ever shipped, clocking in at 60 pounds. Only the company's storage-focused server products like the Xserve RAID or old Network Server weigh more. 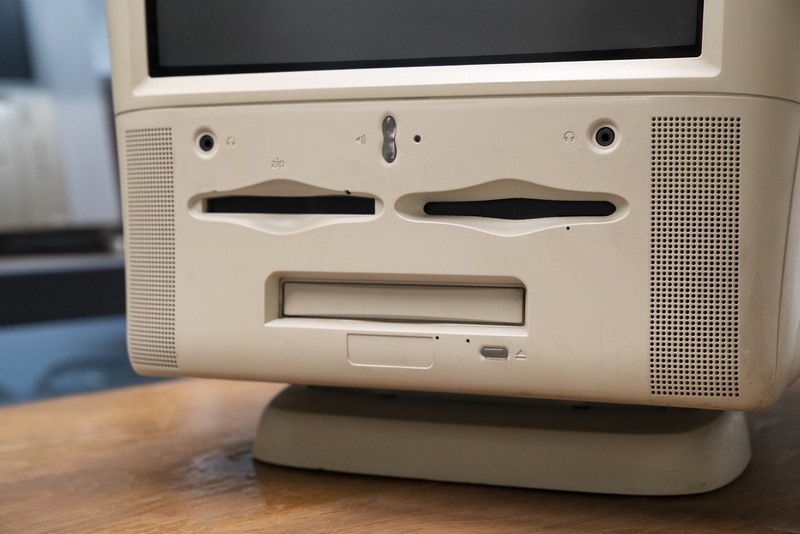 Going on sale in 1998, the Molar Mac came with MacOS 8 out of the box, complete with its customizable Platinum interface, Multithreaded Finder and much-improved performance. However, as most machines of this vintage, the Power Macintosh G3 All-in-One can run up to Mac OS X Jaguar, which capped out at version 10.2.8. There were a few small issues, including OS X's lack of support for the machine's hardware volume buttons. 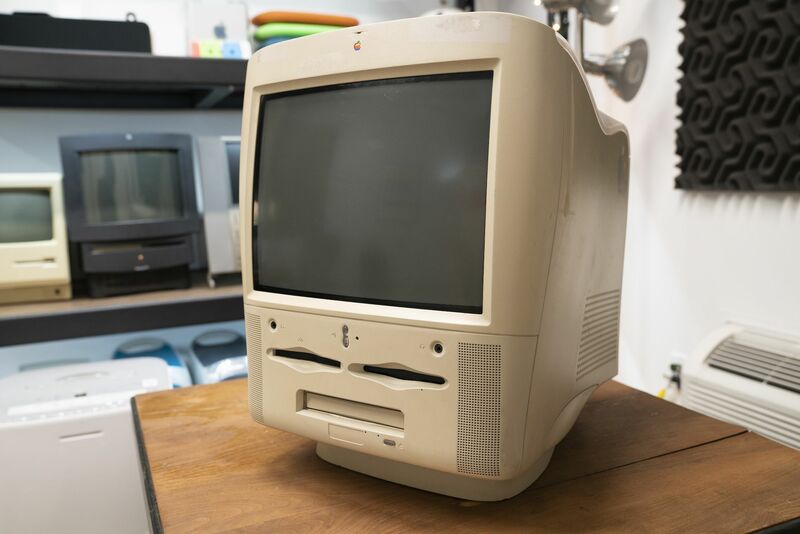 The Molar Mac may have looked a little unusual, but it was crafted with Apple's education customers in mind, so why don't tons of people have memories of this machine? Well, it was on sale for less than a year. After being introduced in April 1998, Apple stopped selling it in January of 1999, as the Five Flavors iMacs made it to market. Apple replacing the All-in-One with the iMac brought some trade-offs. 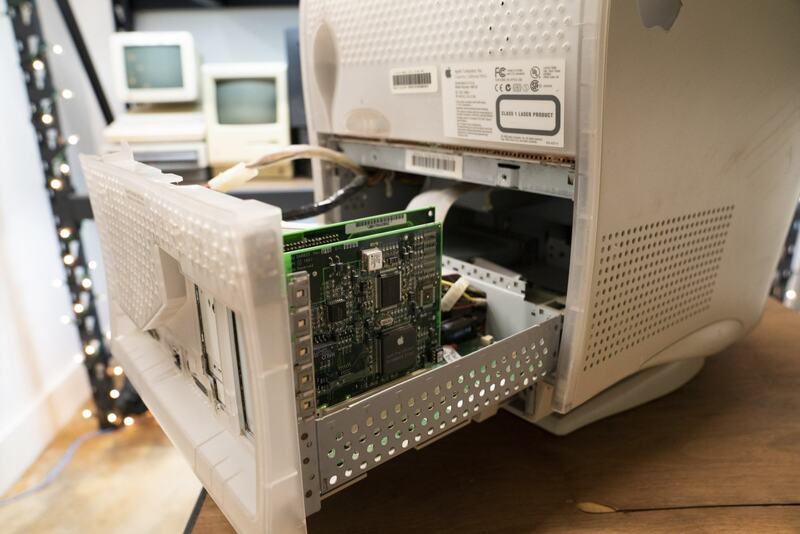 The iMac was cheaper and smaller, but ditched Apple's legacy ports and the floppy drive, two things that schools had built infrastructure around. However, Apple saw the iMac as the future, and as usual, pushed that vision onto its customers. Thankfully, they were right. Stephen is the co-founder of Relay FM, where he hosts several podcasts. He also writes the blog 512 Pixels and shares a home office with way too many old Macs. He’s been covering Apple since 2008 and has a dogcow tattoo on his right ankle.